When searching for a new house, one of the most important areas to check out is the basement — a damp or wet basement can result not only in a future financial drain, but also in health concerns. Be sure to have a home inspection conducted by an accredited professional before making any kind of a buying decision. 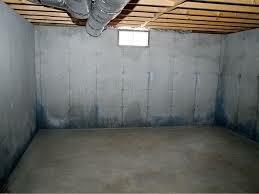 Upon viewing the basement of a potential home, you may find that your nose, by picking up a musty smell, gives you the first clue that water has invaded, while the walls may have physical evidence through water marks, mold, peeling or any other damage. As far as preventing a wet basement, sometimes the simplest, yet most often overlooked way to prevent water from seeping into your basement is to redirect the source of water so that it flows away from your home. Check the grade of your foundation and driveway; water should roll away from the home, not pool in one spot and definitely not roll toward the house. 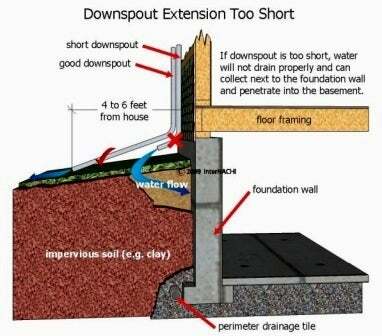 Correcting the home's grading, unclogging your gutters and ensuring clear downspouts that direct water away from your foundation can go a long way towards keeping your basement dry. Keep water drainage in mind when designing your outdoor gardening projects this year, too. For example, while placing boxed planters or in-ground flower gardens against your outdoor walls bring colorful landscaping appeal, remember that when you're watering those plants, you may also be soaking your foundation.